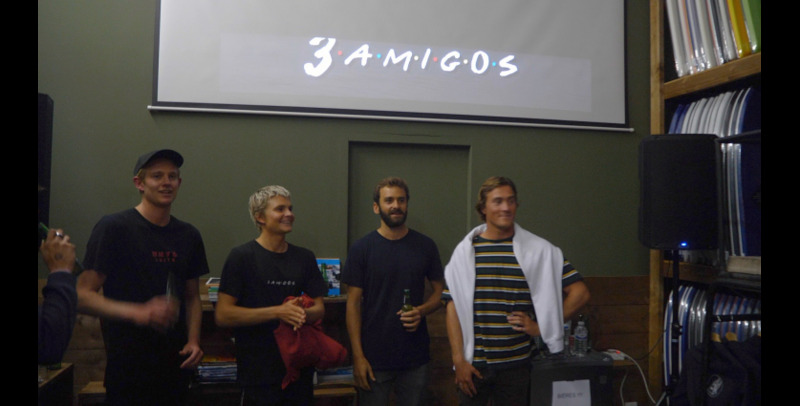 Around 80 passionate boogers came down to see 3Amigos premiering at Bodyboard Center on October 19th: Lewy Finnegan, George Humphreys & Davis Blackwell’s new movie. The three protagonists were here to present their latest installment and greet their most core supporters. Some of them driving up to three hours to watch this epic movie. Big up to everyone involved as usual. Well, we’ve been waiting to see this movie for a long, long time now. Safe to say it hasn’t disappointed. At all. The following is a short synopsis to make you frothing if you haven’t got the chance to come down and are still waiting for the official release. Lewy, George and Davis are 3 local groms surfing Mandurah wedge as much as they can. They built a strong friendship around their passion for bodyboarding, emulating each other, travelling and it seems like they’re having the best time. The introduction showcases the grommets ripping at their local, and at the age of sixteen, their level is just impressive. 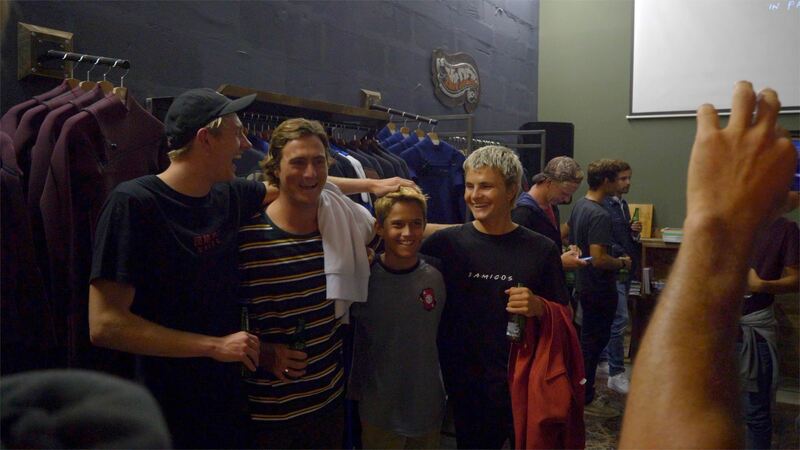 A good way to get today’s groms frothing again, and to imagine oneself in a more or less distant past. Then, some classics. Oahu and Pipeline, plus a few selected guests: Pierre-Louis Costes, Tanner McDaniel and Lachlan Cramsie, just to name a few. Then back to Western Australia. Jake Stone had the perfect amount of waves to show that he still got one of the best style in the game. Then one word comes up to mind: crescendo. Each sequence seems even better than the previous one. No chances to get bored with such rhythm and intensity. It reminded us of the classics, yet with younger riders and top notch filming equipment. A few funny scenes, then they flew us to Gran Canaria. And once again they just blew us away. Mitch Rawlins also got his share of waves. Then back to West Oz. Ryan Hardy ripping this pristine turquoise wedge we’ve been used to watch over and over for our utmost pleasure. And the movie still manages to keep increasing in intensity, frame by frame. North Point, Rottobox, and many more: the boys have absolutely destroyed all the best bodyboarding waves in Western Australia. South to North. North to South, and so on. We won’t go any further in order not to spoil you all, but the movie is absolutely insane. Special mention as well to the music selection, with a Joy Division classic that was much appreciated. The movie will be available soon on selected platforms for your viewing pleasure. Skip your next date and go spend some pennies on this piece of art. 3 AMIGOS trailer from Tom Jennings on Vimeo. Directed by Tom Jenning & James Stickland.